Many people think that fish and chips taste the same wherever you go. Here at Good Frydays, we beg to differ. For us, creating the perfect fish and chip meal is an art form and with a century of combined experience within our team, wed like to think that were pretty good at it! We prepare your fish and chips on site, and we are obsessive about getting every detail just right we even choose the trawler that our fish is sourced from! 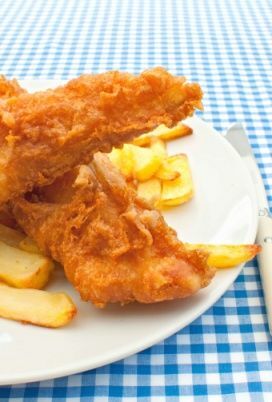 If you dont visit our shop and discover the Good Frydays difference for yourself, you wont find out what great fish and chips taste like, so try us out today! We source our fish and potatoes from suppliers who we know we can trust, and we buy locally where possible. We use fishermen who believe in environmentally responsible fishing, and our fish are frozen at sea soon after they are caught, preserving their freshness. In addition, we prepare your food on the premises, cutting your chips and boning your fish ourselves. We are sometimes able to offer Cornish hake, as and when it is available in the fishing stocks. Its a very popular dish, and we recommend you try it. We are also sometimes able to offer North Sea rock salmon, which we also recommend. 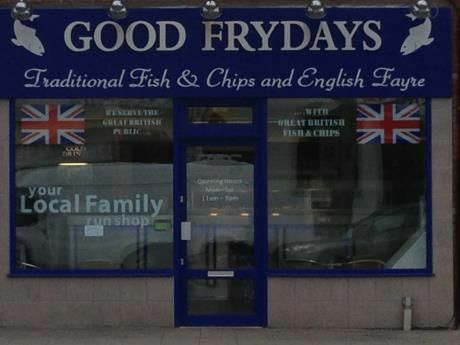 If you enjoy traditional British fish and chips served in a fantastic, family-orientated environment, youll love Good Frydays, so visit us today! If you are unsure of where we are located, there is a handy map on the contact page of this website. Thank you for taking the time to visit this website, and we hope to see you soon.